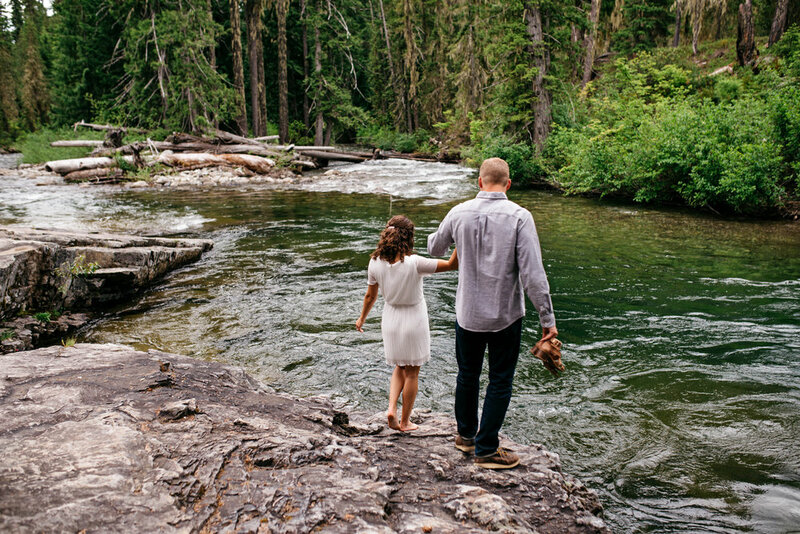 What do you do when you find out you get to take your best friend's engagement photos? Well, I cried an entire river of happy tears!! Jackie and Cody are two of my dearest friends. I have been lucky enough to watch them grow together since their early days as college sweethearts. (Don't worry guys - I won't go into ALL the details of your fun relationship over the past 10 years!) But what do I love most about these two? They put their family and friends before anything else in this world. They also have a great sense of adventure and are down for anything! So it didn't surprise me when they mentioned such fun/special locations for their engagement photos. For those who don't know - Many years ago, Jackie's family opened the Brick in Roslyn. And Cody grew up playing at his family's cabin right around the corner. 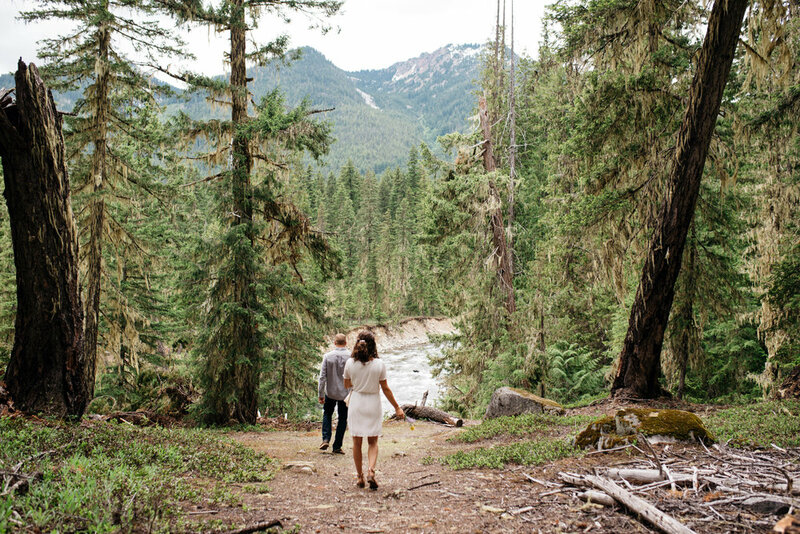 These sentimental locations made for the perfect engagement session. 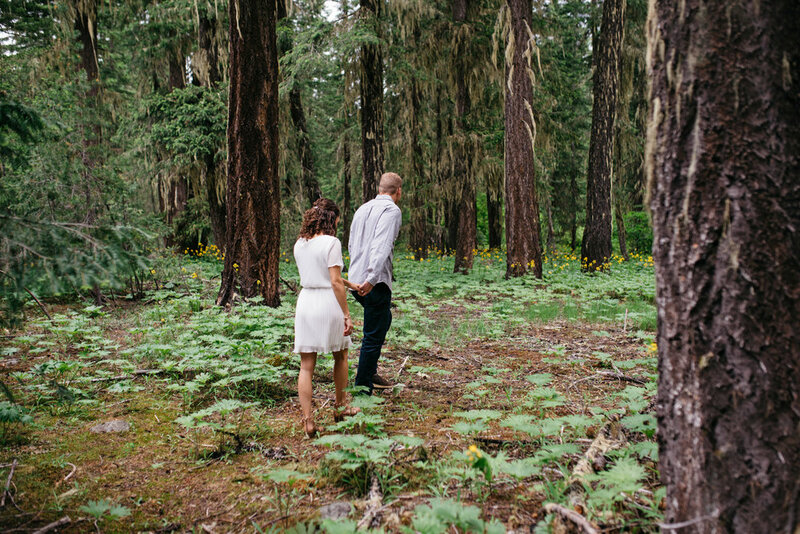 Our day was filled with endless cheers at The Brick, frolicking around the forest, and picking fresh flowers. It was seriously such a dream!